Mr Future 6" diameter and 24" or 2 feet long has plenty of room for papers and media. 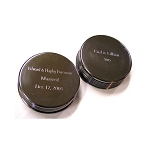 Label Poly Black & Silver 2.5"x3.5" has space for you to write instructions, and you can place the label anywhere on the time capsule. Other variations: If you need a plaque, too, see our EZ PKG Mr Future Package with 8x6" Cast Aluminum Plaque. If you want the first quality version of this time capsule, see the Basic Mr Future 6x24. Great customer service!! Thanks so much for your help and attention. We are looking forward to using this time capsule. We bought this as we are planning to bury a time capsule during this year's commencement. It is absolutely perfect! It is the right size, durable, and nicely designed. We couldn't be happier. The time capsule has exactly the looking and feel we wanted for our ceremony. The preservation kit has everything we need, including clear instructions. The order arrived quickly and all items were in good shape. We purchased the 6 x 24 to be used for our town's 100th celebration. We plan to bury it on July 8, 2018. We liked this model because of the 6 inch opening which allowed us to place larger mementos in the capsule. Q: How many sheets of paper can fit in this capsule? Also can this unit be placed directly in the ground? Also do I need all that other stuff in the bundle to take out the oxygen and etc? I have to get a time capsule for two schools since we are doing a project on time capsules and I do not want the students to be disappointed 25 years from now. Do the papers have to be written in certain ink? Do they have to be wrapped in something or written on special paper? I have about 250 students just from one school? Thank you for any help you can share with us. A: 1. 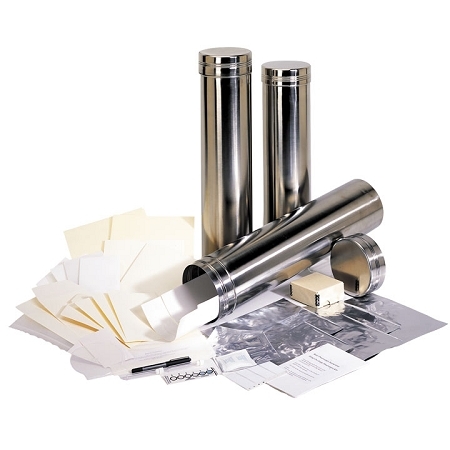 If you think of a ream of paper as being 500 sheets, and the size of the sheet being 8 1/2" x 11" - you could stack 2 reams of paper, slightly rolled of course, in the 23.5" beneath the lid of a 6x24" time capsule. That would be 1,000 sheets. 2. Yes, you can place it directly into the ground - but not on its side. We recommend it be placed in vertical position - up & down. These instructions & more come with the time capsule. 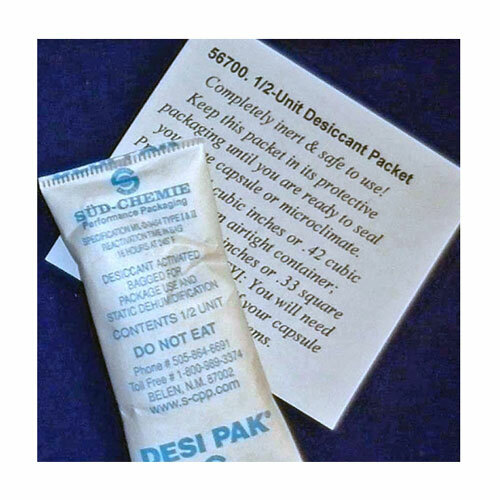 You get a sealant and 1/2 unit of desiccant with this particular basic version. 3. 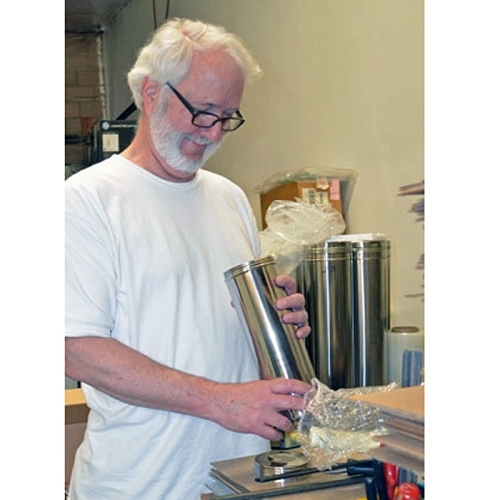 We offer this basic version or you can choose a bundle which has (in addition to the time capsule) a preservation kit to fit the size and 1,000 cc oxygen absorber, too. 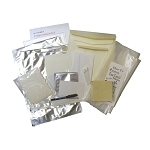 You don't have to get the preservation kit, but we've loaded it with things like corrosion intercept bags, buffered paper envelopes, acid free tissue, and other items to keep things separate while they lie inside of the time capsule for a long time. 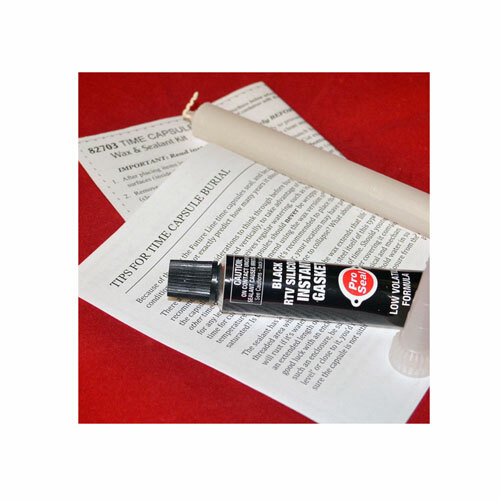 We recommend an oxygen absorber because it removes the oxygen from any air that remains in the time capsule. The answer to this question, then, is 'it depends on you.' Sometimes people want things to remain as mint as possible, while other times it's not so important, or they opt to use their own supplies. 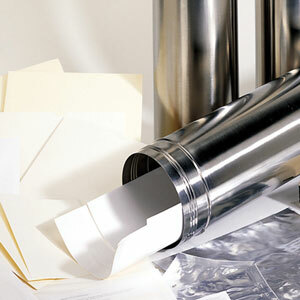 Remember, it's most important that you have a good time capsule container - one that is airtight & that does not leak. 4. You can safely bury this time capsule for up to 60 years or so - please read and follow all instructions that come with it. 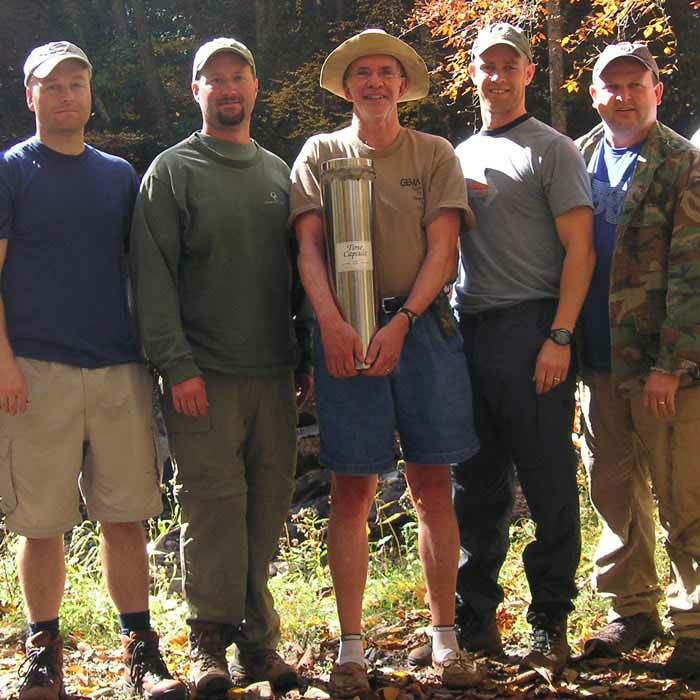 You can't expect to place a time capsule to survive standing in water for 25 years no matter what the material is, however. 5. Some of the preservation questions you've asked are answered in the Preservation Hints pamphlet. 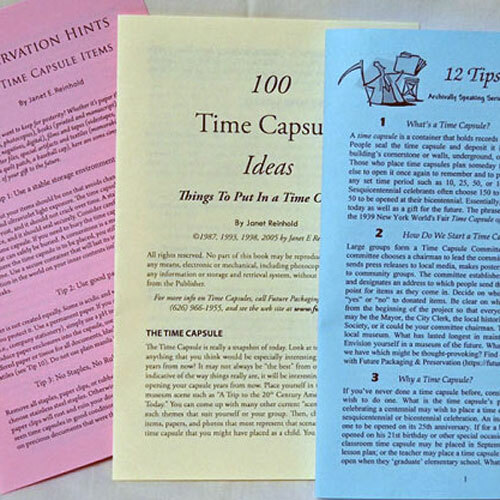 With this time capsule, we give you that one plus 100 Ideas for Time Capsule Contents, plus 12 Time Capsule Project Tips. You also get a label that you can fill out with indelible marker (like a Sharpie) and a serial number label too. What ink you use should be as archival as possible. 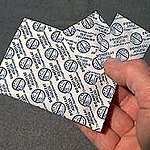 The paper should be acid free and have 25% cotton content. But if you have school letterhead, don't hesitate to use it. Put a local newspaper in your time capsule, but be sure to put it in a sleeve or bag. Please see our kit instructions for other information. Q: What material the capsule made of, and what is teh thicknessof the material? A: The material is 304 Stainless Steel. The thickness is about 25 gauge. Thank you for your question. 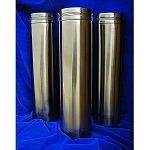 A: The 6x24 and 5.5x22" time capsule containers were made specially for us in China. 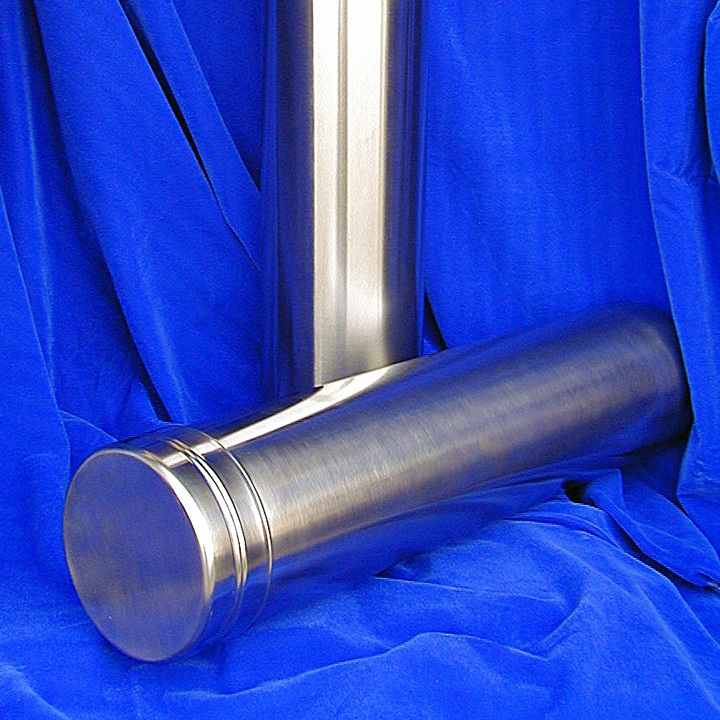 The material is 304 stainless steel. All other accessories, information & kits are made in the USA. Thank you for your interest.